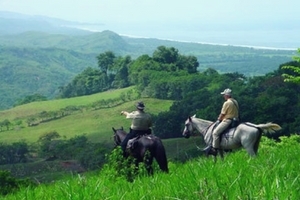 Costa Rica Real Estate Investment. The Manuel Antonio - Dominical corridor. 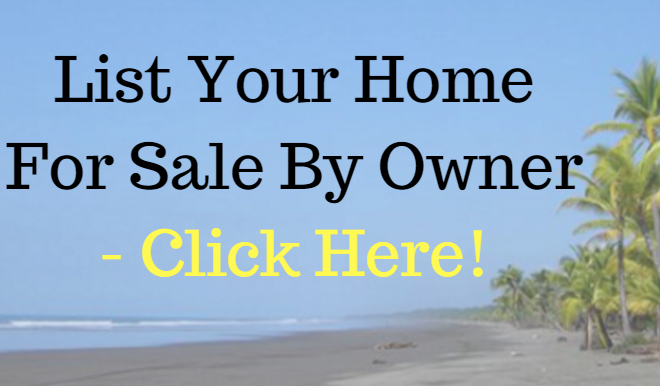 Home | Real Estate | Manuel Antonio Real Estate | Costa Rica Real Estate Investment. The Manuel Antonio – Dominical corridor. Costa Rica Real Estate Investment. The Manuel Antonio – Dominical Costa Rica corridor. Names that any tourist who has been to Costa Rica will recognize, and places that they will have probably visited. For those who have been to all three, each conjures different images, and different flavors. Jaco? Condominiums, shopping and parties. Manuel Antonio? Boutique hotels, gastronomy and the national park. But what about the areas in between? Until recently, the growth corridors that connect the major tourist hubs have remained dormant. This is changing, however. The wave of development pushes out from the major epicenters, and with the increasing prices of real estate in these areas, value-seekers are beginning to look to the spaces ‘in between’. This can already be witnessed as one moves south from Jaco-Playa Hermosa, Esterillos, Bejuco, Bandera, Palo Seco…, the wave is progressively moving southwards, and bringing some major investment with it. Esterillos has exploded over the past year with major developments such as Del Pacifico, Monterrey and Cabo Caletas. Already, million dollar homes abound with ribbon views of the ocean, and non-view condos start at $350,000. Other developers are focusing more on low-end residential communities often a 30 minute drive from the beach. Soon, Del Pacifico will announce a beachfront Hilton. In Jaco, the central mountain range comes very close to the ocean. This immediate rise in elevation allows for residential developments and homesites with astounding views. Just south of Jaco, however, the coastal plain widens-in some places to as much as 10 miles. From such a distance-and moreover, such challenges to access-this makes the kind of ‘big-view’, mountainside homesite developments common to the Dominical area impractical. As a result, developers have been taking to the low hills close to the coastal highway-which just goes to prove that in most cases access and proximity to amenities tend to be of primary importance, and views of secondary importance. Manuel Antonio is truly one of the most magical parts of Costa Rica. When one looks at a photograph of a typical Costa Rican beach where the jungle meets the ocean, all coconut palms and monkeys, the chances are good that that picture was taken in Manuel Antonio. Manuel Antonio happens to be a geographical anomaly-an ‘archipelago’ of hills at the edge of the ocean. Notice something else, however: South of Manuel Antonio-or more specifically, just south of the Savegre River, the mountains take a massive leap back toward the sea. Here the coastal plain narrows to only 2.5 miles, and gradually the mountains creep westwards until, in Dominical, they are once again looming over the water. Question: Why hasn’t this growth corridor south of Manuel Antonio experienced the same development as the one to the north? Strangely, while there has been a beautiful, paved coastal highway connecting Dominical to Palmar Sur for several years now, the nearly impassible section between Manuel Antonio and Dominical has been a huge deterrent for would-be tourists. One dusty (or muddy) teeth-chattering trip has been enough to dissuade most investors from the area. But now this is also changing. The road is being graded, raised and widened in preparation for paving. Just one year ago, during one particularly wet day, it took me two hours to get from Manuel Antonio to Dominical. Today, it takes an hour. When the road is properly paved, it will be a half hour trip. Now the value-seekers have their sights set upon a different horizon. Fact: There are 42 kilometers of beautiful, open beach between Manuel Antonio and Dominical. Fact: The coastline south of Manuel Antonio is greener and more ‘rainforesty’ than the coastline to the north. Fact: There are major infrastructural projects under way that will make the zone more accessible than ever. Manuel Antonio is the poster child for Costa Rican tourism. It’s the national park that does it. Manuel Antonio is one of the smallest parks in Costa Rica’s extensive National Park system but it’s one of the best known, beautiful, and most visited ones. The area has been a tourist and leisure playground for years, since before the explosion of foreign tourists and expats, and arguably offers more to see and do than just about any other part of Costa Rica, from hiking through the jungles and wildlife spotting to river rafting, ocean kayaking, canopy zip lining, sports fishing and surfing. The area has it all except for golf. But even that is no real problem as less than an hour’s drive away, in Herradura, is the Los Sueños Resort, which is home to one of Costa Rica’s finest courses, the 18-hole La Iguana golf course. There is also a rumored golf development on the cards in Esterillos, only about 25 minutes from Manuel Antonio. Manuel Antonio itself is a small village on the beach at the entrance to the national park. There’s not much there – a few restaurants and tourist shops. What also counts as Manuel Antonio is the seven-kilometer road between the town of Quepos and the park entrance. This road rises and falls through the rainforest-clad hills, providing access to numerous high-end boutique hotels and private luxury homes. The essence of Manuel Antonio is discreet luxury and a high-class living experience more than anything else. The new Highway 27 makes getting to Manuel Antonio from the capital city of San Jose and the international airport easier than ever. What used to be up until only a few years ago a grueling four-hour drive on small winding roads can now be done in between two and tree hours, mostly on brand new paved highways. Manuel Antonio and the other beach communities of Costa Rica’s Central Pacific region are now firmly connected to the outside world. This means that getting to and from San Jose for day trips to stock up on supplies is an easy thing to do. The town of Jaco, about 45 minutes north of Manuel Antonio also has the best supermarket in the region, although Quepos itself is great for day-to-day shopping as well. For all intents and purposes, Quepos is part of Manuel Antonio, and among other facilities apart from shopping, hosts banks, a clinic, and also a new marina – Pez Vela Marina – which serves as a center of the area’s vibrant sports fishing industry. One should think of Quepos as the supply center to Manuel Antonio. Manuel Antonio is prettier and more luxurious, more suited to tourists and expats, while Quepos is the workhorse of the two locations. Between them both, they offer one of the best locations for living in and buying a home in the whole of Costa Rica. So what are people looking at buying in the Manuel Antonio area? What’s on offer? As mentioned, the bulk of the private homes that people are buying in Manuel Antonio are on the upper end of things, private homes and mansions that they will either rent out as vacation rentals – the vacation rental home industry in Manuel Antonio is huge! – or to live in themselves. One facet of Manuel Antonio to think about is its topography. The area is basically one winding road with mountainous jungle on side and the Pacific Ocean on the other. Unlike other beach communities in Costa Rica, there’s not a great deal of room for the area to spread out and grow, a fact that keeps the area pretty much exclusive in terms of development. Of course, in Quepos itself, around the Marina and its outskirts there are condo projects in play but its altogether more low-key than the beach town of Jaco or some of the ones on Guanacaste. Overall the area is all about luxury homes on private land more than anything. Like everywhere else in Costa Rica, true beachfront living in Manuel Antonio is not a viable option. The country has strict zoning laws to protect the beaches, meaning that developing land 50 meters or less from the high-tide line is illegal. In Manuel Antonio, this is doubly more so. The beaches of the area are overwhelming inside the national park, making any question of development whatsoever a moot point. Also, the topography of the area means that homes are situated up in the green hills overlooking the ocean, not on the ocean itself. This means that the luxury mansions and homes of Manuel Antonio are blessed with some of the finest Pacific Ocean views on the planet, a fact that is always considered in the price of any property in the area. Despite the overall prevalence for larger, more private luxury homes in the Manuel Antonio area, that’s not to say that there isn’t anything smaller on offer for those who are just looking for a place to retire to and aren’t interested in the luxury vacation rental market. A few gated communities are also going up in the area – closer to Quepos than to Manuel Antonio proper – that will suit those looking for something less ostentatious. As many of these places are still in the development stage, potential buyers looking for gated community living are often going in at the ground floor and purchasing lots of land instead of completed homes. The area is ideally situated close enough to San Jose and the international airport to make it feasible for day trips. The area is made up of protected forests and jungles that spread down mountainsides to the ocean. There’s not a great deal of room to spread out due to this. Home types. Due to the topography, most homes are discreet, hidden luxury affairs up in the hills that look out over the ocean. The area has one of the best luxury vacation home markets in the country. Amenities and services. Manuel Antonio itself has many restaurants, both down near the park and along the road to Quepos. Many of the luxury hotels have their own great restaurants too that non-guests can use. Quepos is great for day-to-day services and shopping, as well as Jaco to the north, and San Jose on the odd occasion. The Manuel Antonio area, like the entire Central Pacific coast of Costa Rica, sees a LOT of rain. This is an important fact to know. That lush jungle that makes up the national park and is home to all those monkeys that drop by your home is made possible by this rain. The dry season runs from December to April, but outside of those months expect rain in the afternoons and torrential rain in September and October. This is not a bad thing – but it is important to know about. All in all, buying a place in Manuel Antonio is something to be considered really for the more affluent, or for those who want to turn their home into a vacation rental business. Manuel Antonio itself is far more of a tourist area than it is an expat area, and expats make up a smaller percentage compared to tourists than other parts of Costa Rica. That’s okay, but it just means that people moving there should expect others to be more transient. 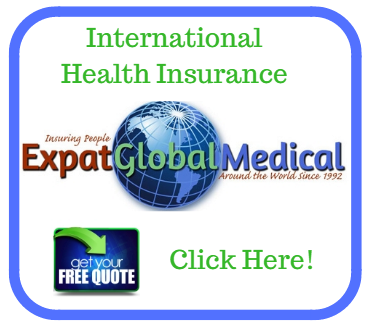 There is a small expat community, of course, and the vast majority of people who go there absolutely love it. There’s no reason why anyone else shouldn’t be the same. Sophisticated real estate investors understand that the key to making serious money with your Costa Rica real estate investment is to own the property before the real estate tour buses start coming down here because by the time that happens, values here will probably be significantly higher.